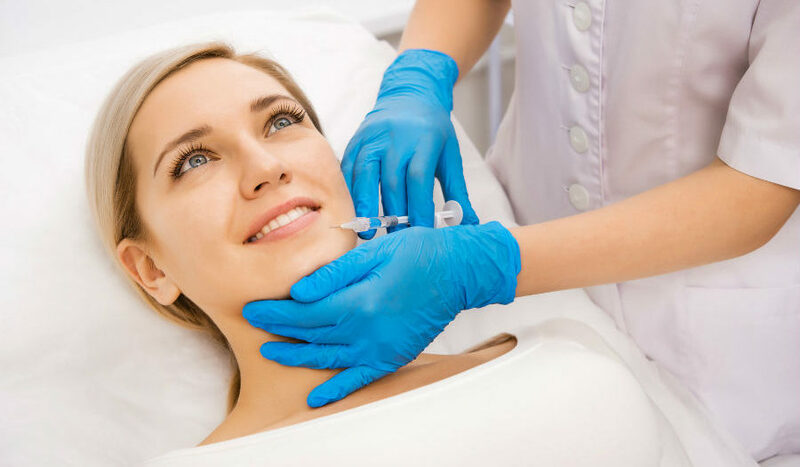 As a highly experienced aesthetic injector, I enjoy educating my clients on ways to beautify their face. Fillers are often my go-to recommendation for anyone who needs a bit more volume in the face or hands. These substances can also fill in deep wrinkles leaving behind a flawless look. As great as they are, there are times when I must decide that it’s not necessarily best to inject certain clients. In these cases, fillers could potentially do more harm than good. Some people are allergic to either lidocaine or the bacterial fermentations that these products contain. This can result in not only poor cosmetic outcome, but also physiological side effects that can cause illness. It can be difficult to know whether you are allergic to lidocaine or bacterial fermentations. Be sure to let your aesthetic professional know when you go in for your first appointment that you’re not sure if you are allergic, so he or she can do a test run on a small area to look for any signs of a reaction. Studies do not pinpoint fillers as a potential threat to a fetus, but it’s better to be safe than sorry. Pregnant women are advised to delay their aesthetic appointments until after delivery. Any issues with the injection site should be a reason to reschedule the appointment. Breaking the skin with a needle could worsen existing viral, fungal, or bacterial infections. Keep in mind that people who suffer from herpes simplex (cold sores on the lips) may have an outbreak after lip injections. Since flair ups can happen because of stress and the body may perceive the solution being injecting into the lips as a threat, the virus may present itself. Before moving forward with cosmetic procedures, contact James Christian Sardelli, RPA-C for a free consultation. His many years of experience and skills can help you achieve the look you want with the services he offers. James Christian Cosmetics has many locations throughout Manhattan and Long Island, so call 1-844-iBOTOX-NOW during normal business hours or call/text 917-860-3113 any time of the day or night for our Cosmetic Concierge line. The representative will set up an appointment at the location that is most convenient for you, so you can meet with James to discuss how you would like to enhance your beauty. Our 5-star reviewed services can be found in Suffolk County and the surrounding areas of Long Island and beyond including East Setauket, Islip, West Hampton Beach, Commack, Manhattan, Brooklyn, Rockville Centre, Farmington, Babylon Village, and Huntington Bay, New York.